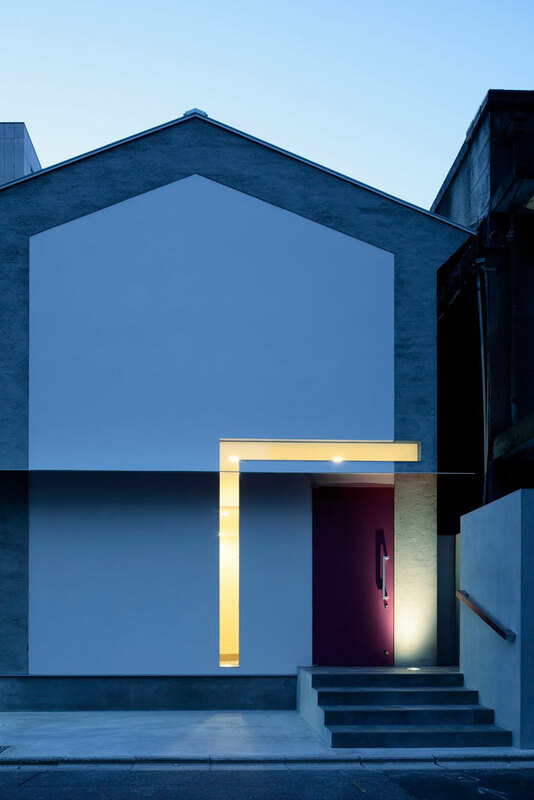 Undoubtedly every house that we have presented on Yatzer from the Eastern Design Office is of unique architectural design, and each house is designed with an exclusive concept, making every single project so special. 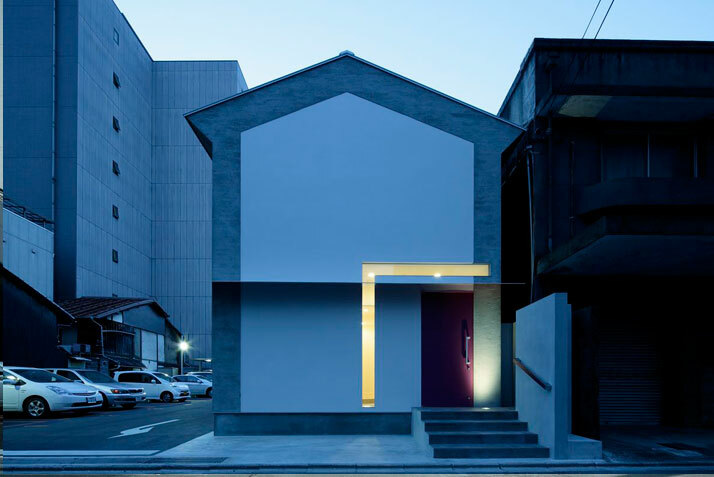 This time, Yatzer exclusively presents the Keyhole House which is located in Kyoto, Japan. 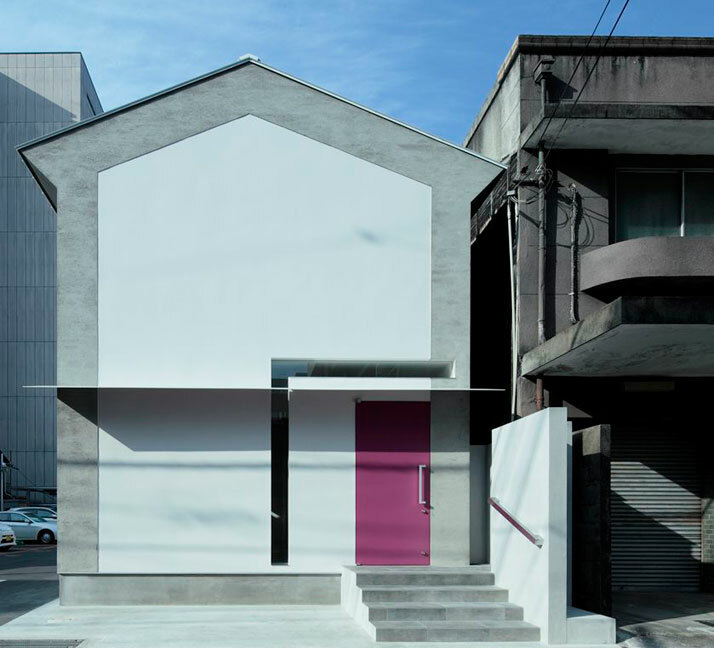 Its architectural design features a facade shaped like a keyhole, a keyhole where the owner could use his ‘key’ to open his house! 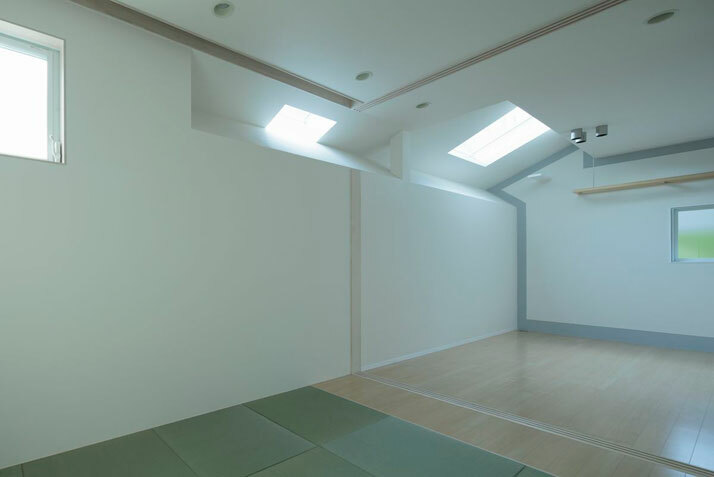 The total floor area of the two-storey residence is 103.47 square meters on a 90.81 square meter site. 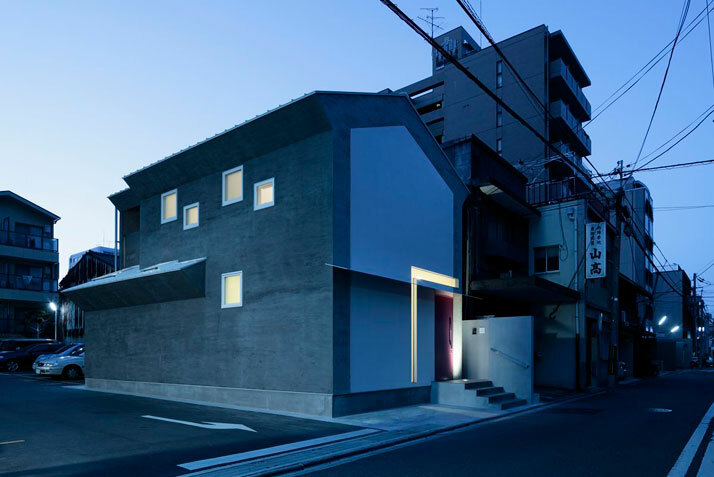 The fact that it is built on the corner and has a triple façade allows for the proper projection of the architectural design. 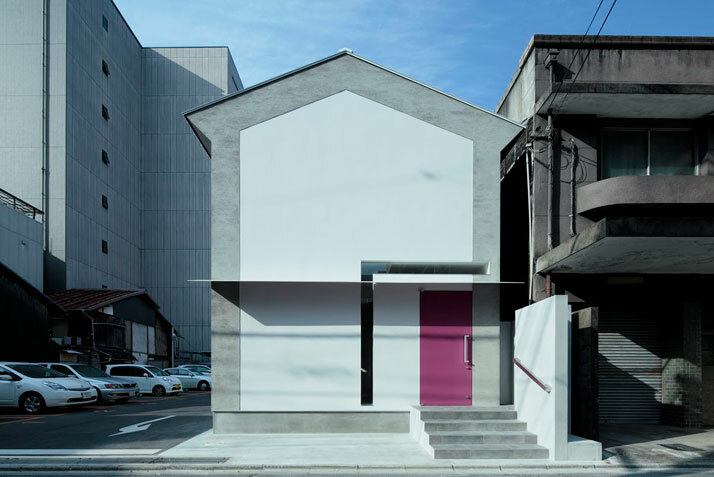 The petite Keyhole House stands alone on the corner of a small parking lot on a busy street. 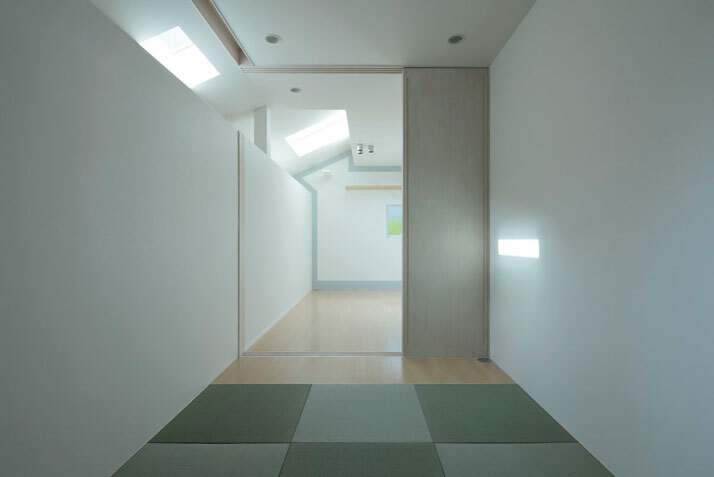 The house serves as a residence to a family of four and two cats; despite the fact that for the Western world this house is considered small, Eastern Design Office has somehow made things work and has adjusted the needs of the family members and its pets to the residence. 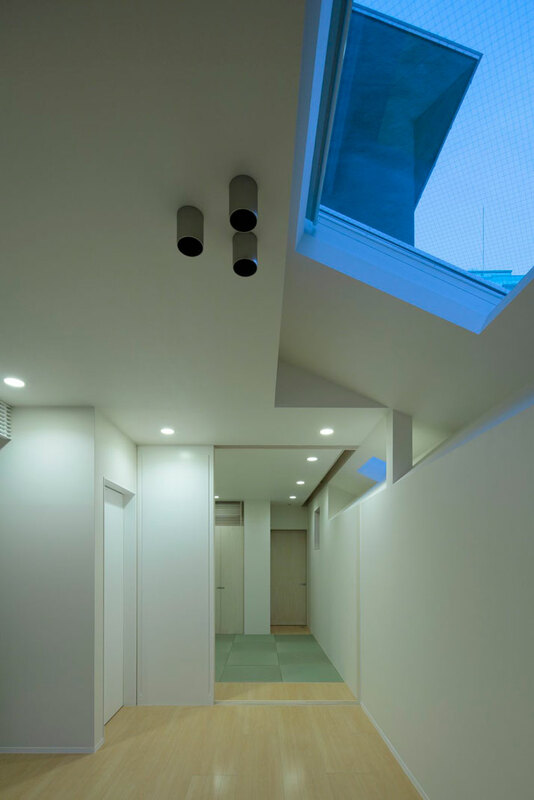 The first floor includes the communal spaces, such as a Japanese-style room, a bathroom, a WC, dining room and kitchen, a walk-in closet and the catwalk for the two pet cats. 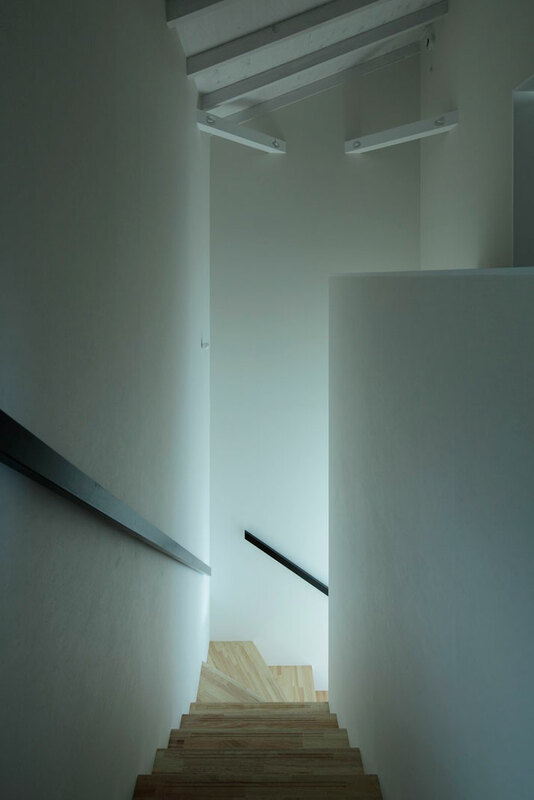 An L-shaped staircase leads to the private areas on the second floor such as the two bedrooms, a WC, a walk-in closet, a living room and a terrace. 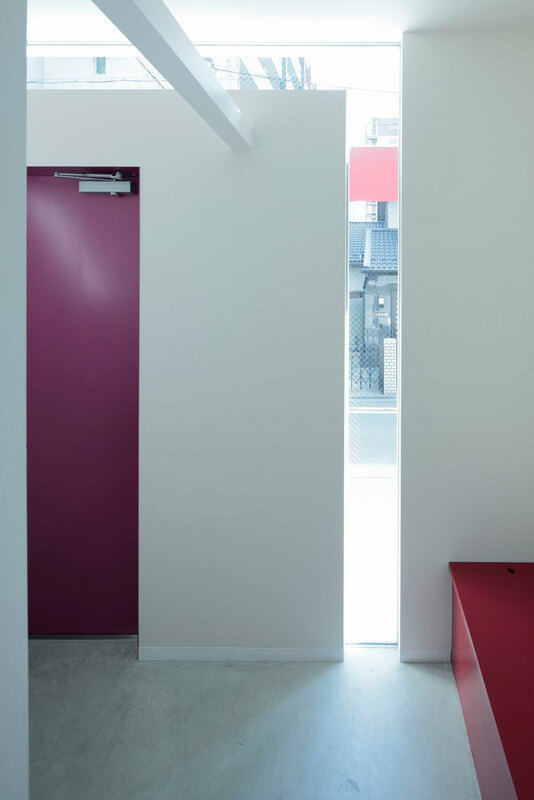 Both floors have been designed in such a way that the architectural design of the southern façade is pierced by a random arrangement of square and parallelogram openings for an abundance of natural light. Even the main (eastern) façade is marked by the window shaped like a key. 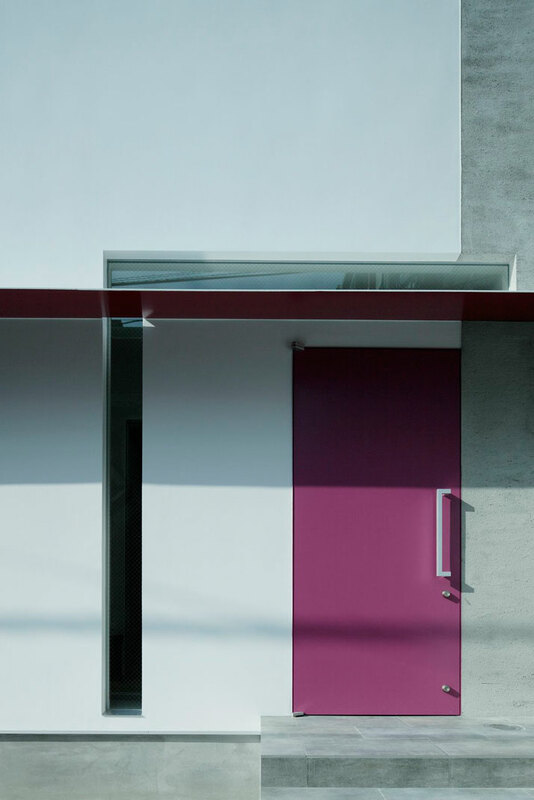 The exterior construction cladding providing for this playful contemporary design is mortar with sumi ink and perfectly matches perfectly the playful red wine-coloured door. 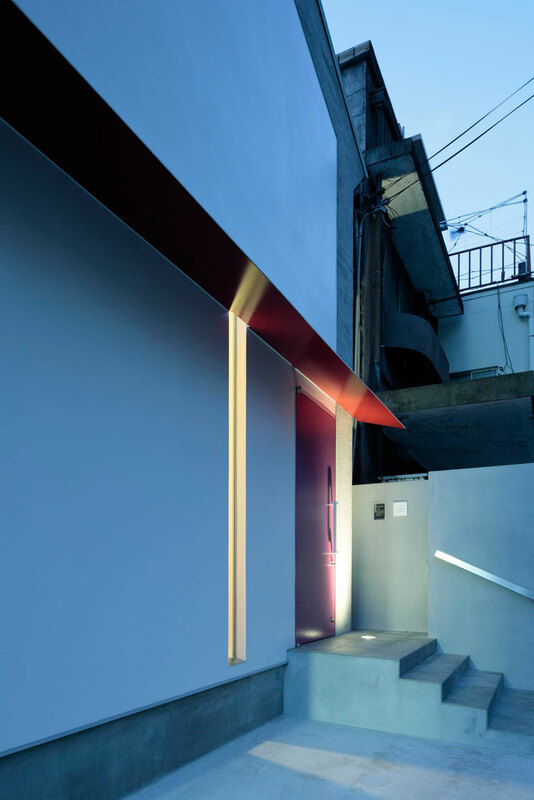 The thin steel eave which is fixed to the façade of this house seems as if it is floating along with a key-shaped slit like a ‘picture’, crossing over the eave are both elements that are laid out like a beautiful pattern designed on a fine-looking painting.